Gentle Giant has unveiled their first San Diego Comic-Con 2018 exclusive and it’s a doozy!!! 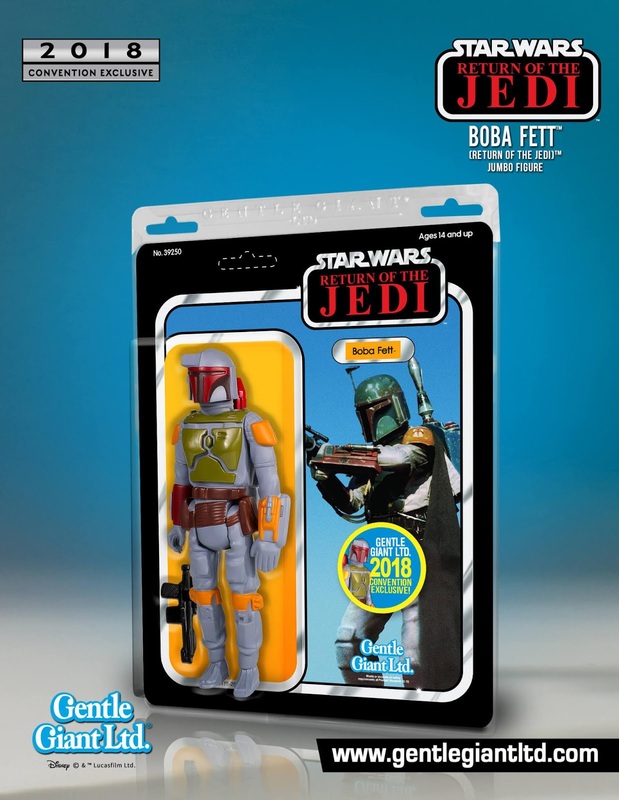 In celebration of the 35th anniversary of Star Wars: Episode VI - The Return of the Jedi comes the San Diego Comic-Con 2018 Exclusive Return of the Jedi Edition Boba Fett 12” Jumbo Action Figure, which is based on the iconic ‘80s toy line by Kenner. 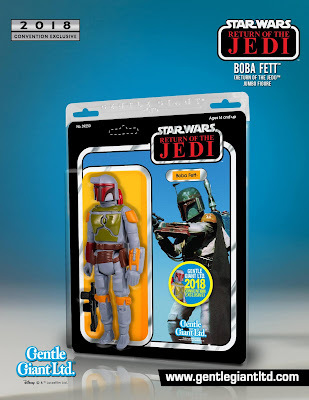 This SDCC exclusive features a Return of the Jedi backer card with the Return of the Jedi logo and a jumbo photo of Boba Fett in action on Jabba’s sand skiff on Tattooine. Digitally scanned from an authentic 3.75” vintage Kenner action figure and reproduced to a substantial 12” tall, this fully-articulated jumbo figure includes Boba Fett’s faithfully re-produced black blaster rifle. Injection molded and made of durable plastics, this jumbo figure comes with his non-removable rocket, features 5 points of articulation and comes in a resealable plastic outer clamshell to help protect and display this limited edition collectible on your wall, shelf or favorite showcase. Collectors can purchase this San Diego Comic-Con exclusive at the Gentle Giant SDCC booth #3513 next month.